Elizabeth Fillmore gowns offer a unique combination of sophistication, grace, and individuality. Fillmore’s foray into the bridal market began in 1998 when she noted a void in sophisticated modern gowns. Her first bridal collection was a natural progression from her already successful evening wear line. feel. She cuts close to the body and favors hourglass silhouettes with delicate embellishments creating an understated elegance. Fillmore’s gowns have a refined simplicity with minimal ornamental stylings. Most designs lack full skirts and heavy adornment, opting instead for lightweight fabrics with delicate buttons, beads, and needlework. She adores Chantilly lace and prefers shades of ivory, which is more universally flattering. Her collection also features gowns made from charmeuse, silk faille, and satin. Novelty themes like flowers and a touch of the whimsical, like the use of crystals as light as fairy dust, help to set her gowns apart from the rest. Once you see her designs you will forever recognize a Fillmore. Fillmore is a refreshing departure from standard bridal designs. Her gowns are modern yet timeless and in no way detract from the bride; rather they are an extension of who the bride is as a person. Fillmore attracts the urban, glamorous bride who knows exactly what her style is and owns that style. We love her floaty, feminine designs—so romantic and elegant, yet still so urban! 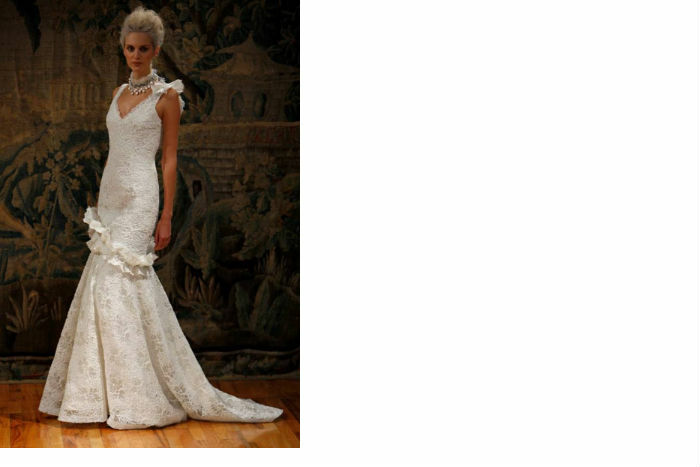 Enjoy a tour of Elizabeth Fillmore wedding gowns.